Event Description : MUSIC : WB & The Prophets of Rock - Thursday Live! WB & The Prophets of Rock are one of the best rock n roll / country outfits in the country. 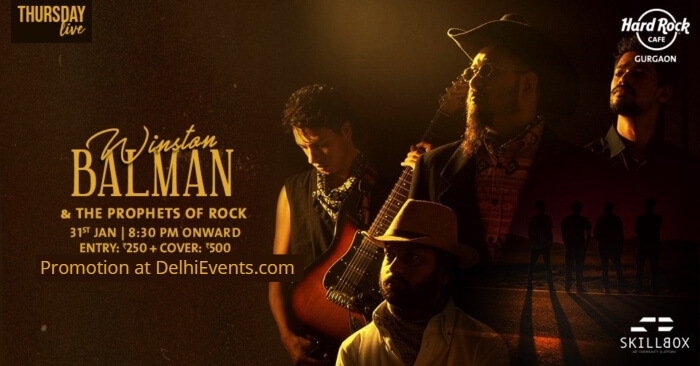 Having toured extensively across India, they are back at the end of January with their heart thumping originals and renditions of evergreen numbers!